Seven South Adelaide juniors have been named in the final squad of 25 for the McDonald's Under-16 State Team. Under-16s players Eamon Wilkinson, Tate Coleman and Sam Whitbread have been named in the final team, as has brother of Panthers League start Emmanuel Irra, Robert Irra as an overage selection. "Robert is an overager. He was injured last year and we think he will play really well," said SA U16s coach Darel Hart. Meanwhile, son of former South captain, coach and Knuckey Cup winner Clay Sampson, Hayden Sampson, as well as Tom Sparrow and Jonty Manuel have been selected as emergencies. Each of the SANFL's eight non-AFL aligned club's are represented in the squad of 29, with South leading the way with seven selections. The connection with the Panthers goes even past South Adelaide players, as League regular Matt Rankine's younger brother Izak Rankine has also been selected from West Adelaide's junior program. The AFL Under-16 National Championships will take place from Saturday June 25 to Friday July 8. 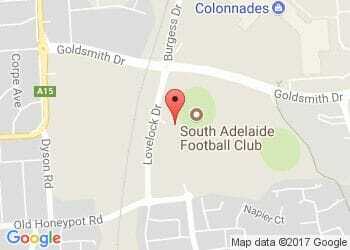 South Australia will play three matches; against Victoria Metro, Victoria Country and Western Australia.